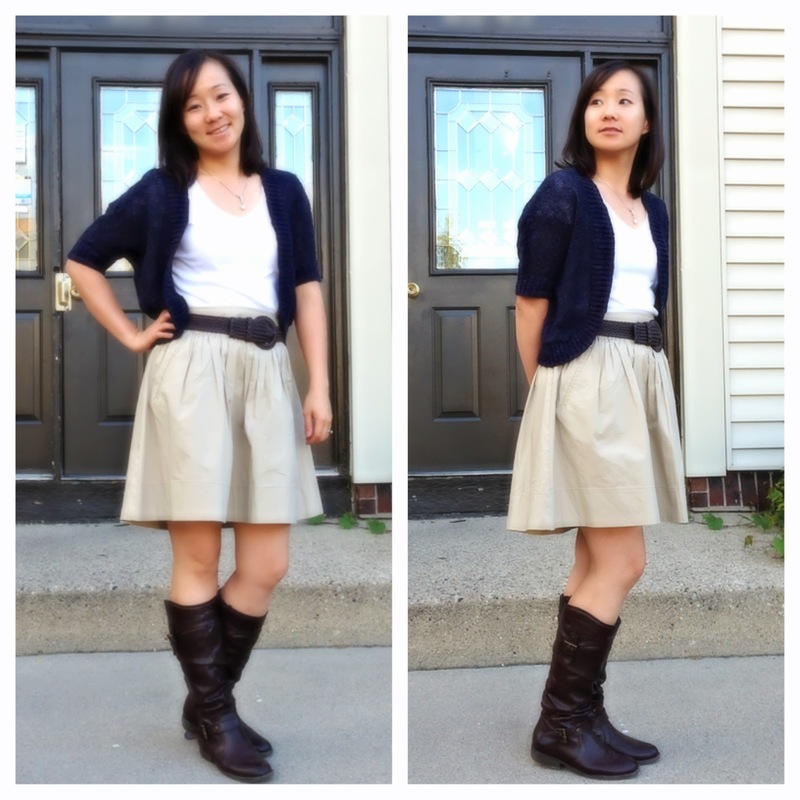 "August Wardrobe Remix [Day 15 of 31]": Hello Again! Remember these boots? You all are probably wondering why in the world I am wearing these boots today. Truth be told, I wasn’t planning on it until I checked the temperature outside this morning. When I saw that was 48 degrees Fahrenheit…at 7:55am…on August 14th…I knew it was time to put these babies back to work (especially since all of my dress pants are either too big or need to be dry cleaned). I’m not happy about the abnormally cold August mornings, but am appreciative that it does give me a chance to pull out my favorite boots for a day. Anyone else out there looking forward to Fall and wearing boots again? Then just head on over to Michigan…and you can wear them in mid-August. I guess there are some perks to living in the chilly Midwest.